With gentle curves and streamlined designs, the Tempo range is perfect for the modern bathroom. 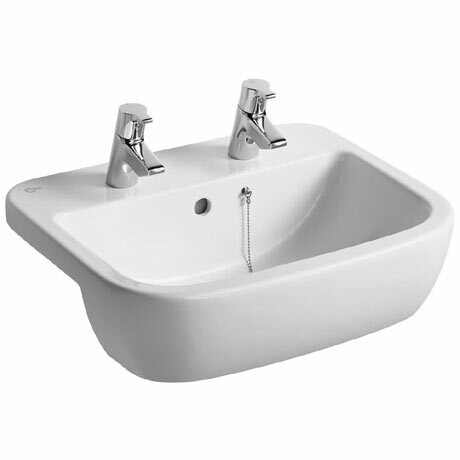 Suitable for domestic or commercial use, this semi-countertop washbasin is manufactured using high quality fine fireclay and features two tap holes, chainstay hole and built in overflow. Ideal Standard offer a lifetime guarantee on all ceramic products. Dimensions: (W)550 x (D)450 x (H)200mm approx.